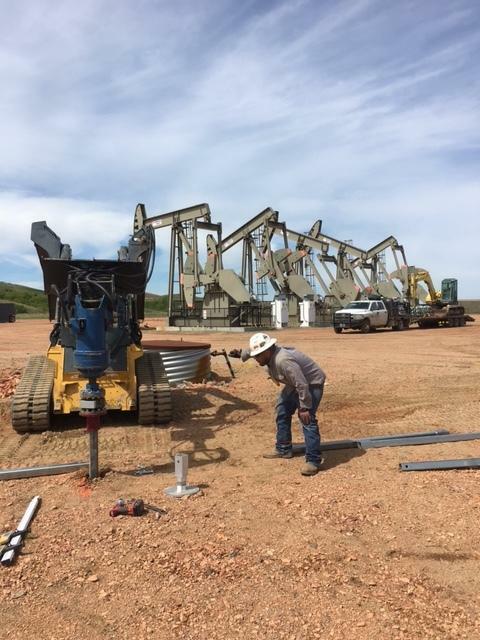 Empire Piers Helical Piles are ideally suited for the oil and gas midstream operator, especially in remote locations where they add structural and economic value on major facility components. Helical piles can be installed in minutes to support all of your surface equipment and can also be easily removed after the foundation is no longer required leaving little environmental impact. Helical piles are engineered foundation solutions that minimize or sometimes eliminate the use of concrete. The type of foundation design that we suggest for a cost improvement is a helical (sometimes called screw) pile design. This type of design has been around for over 150 years and can handle loads in both compression and tension for various soil conditions. Typical installation is performed with 2-3 workers in less than one day! Simple foundations can be installed and loaded in 1 day for helical piles vs 7 days for concrete caissons. With helical piles, complex foundations can be installed and loaded in 3-5 days vs 40 days for concrete caissons. The costs for helical piles are less than half of typical concrete pier/drilled caisson designs. 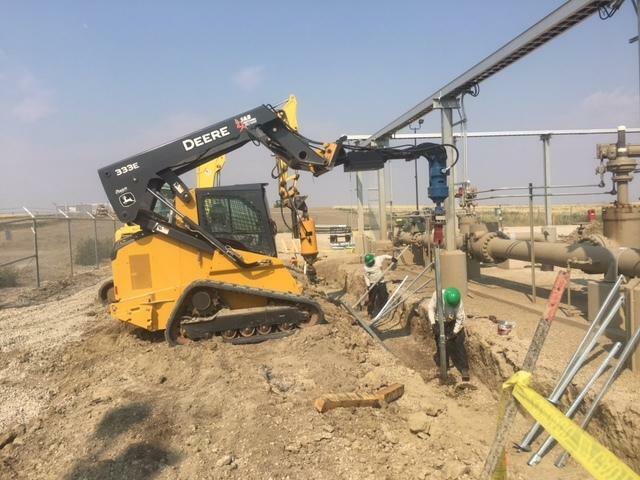 Most equipment can be set on helical piles including pipe racks, equipment skids, dehydrator towers, compressors, storage tanks, pumps, pig launchers, receivers and many more. The low environmental impact due to the removable nature of helical piles makes them optimal as foundations for temporary or semi-permanent structures and equipment. Our square tubular piles and adjustable pile caps are the standard deep foundation system. 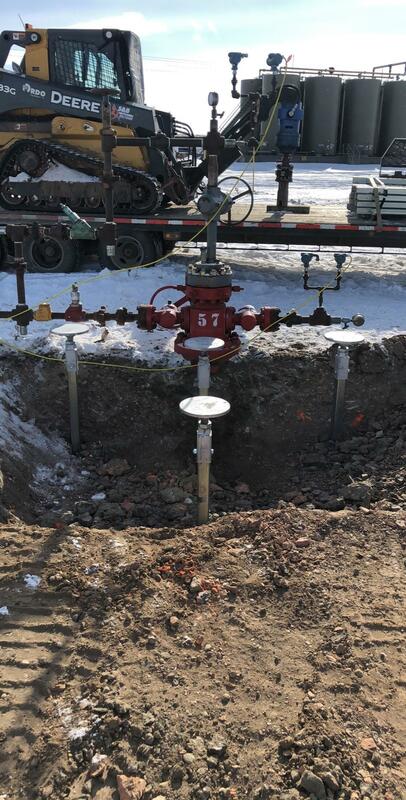 Helical piles have been successfully installed for the largest oil and gas companies and engineering firms throughout the United States. Time is money! Helical piles take much less time to install than other deep foundation technologies. They can be installed in most weather conditions and throughout all four seasons of the year. This saves money from delays that weather conditions can cause. Helical piles can be loaded immediately after installation. There is no curing time so rebar and concrete can be started immediately behind the anchor install if needed, whereas a concrete caisson needs to meet a minimum compressive strength before you can continue with construction. Our system can be removed and reused at another project so customers can keep their capital investment. Empire Piers manufacturing facility is located in Winfield, MO. This centralized location along with a large distributor network allows us to act as a key supplier to our customers. All of our helical pile products undergo an extensive quality assurance program in addition to our ICC certified product lines. Our welders are AWS D1.1 certified, and we continue to update our machinery to the latest technologies. 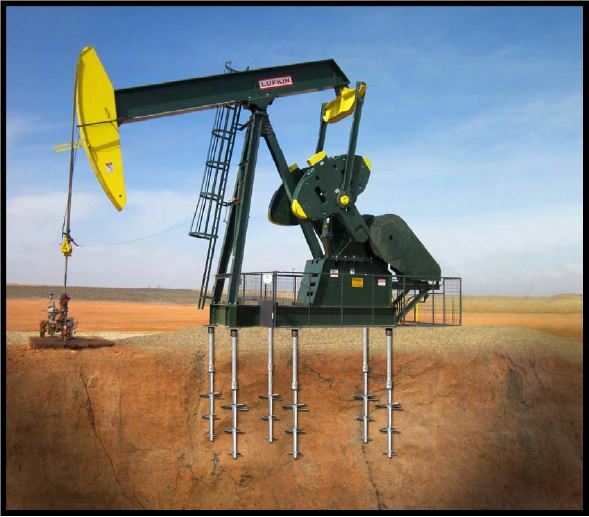 Empire Piers specializes in custom designs, installation equipment, attachments, and tooling to meet all of your needs.